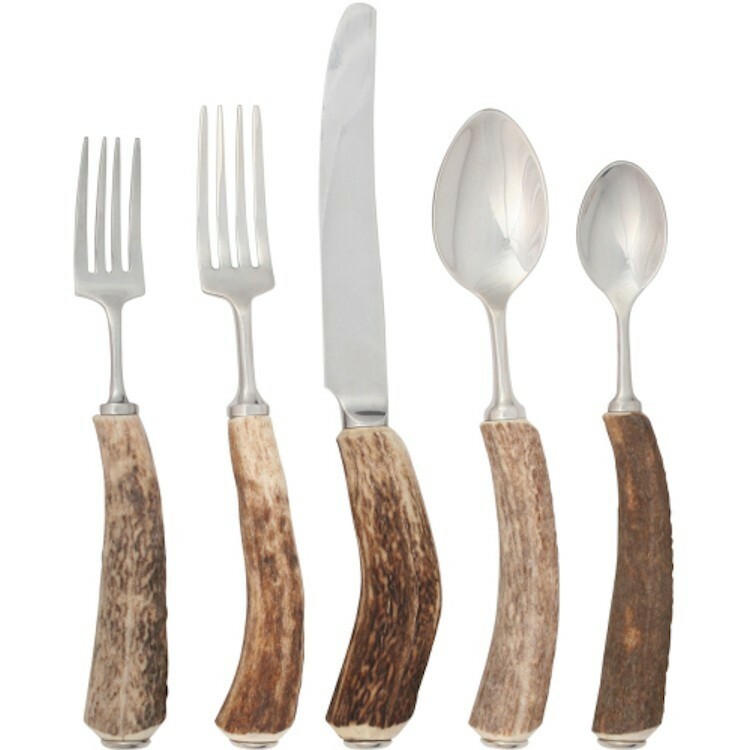 The Rustic Antler Five Piece Place Setting showcases unique style of combining natural, renewable antler with fine metal in the creation of this superior flatware. The hand-turned handles are created from naturally shed elk antler and ornamented with a rounded pewter end cap. The five piece setting includes a Salad Fork, Dinner Fork, Butter knife, Dessert and Teaspoon. 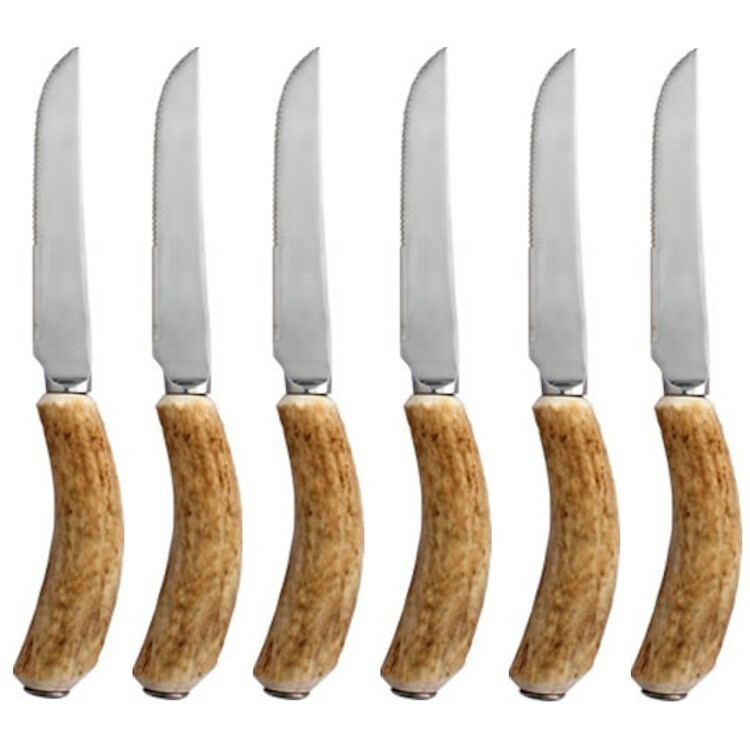 The Rustic Antler Steak Knife Set is a set of six finely crafted knifes, featuring the highest quality serrated stainless steel bladed steak knives with Rustic Antler handles, sensuously curved and expertly weighted for dining in comfort. 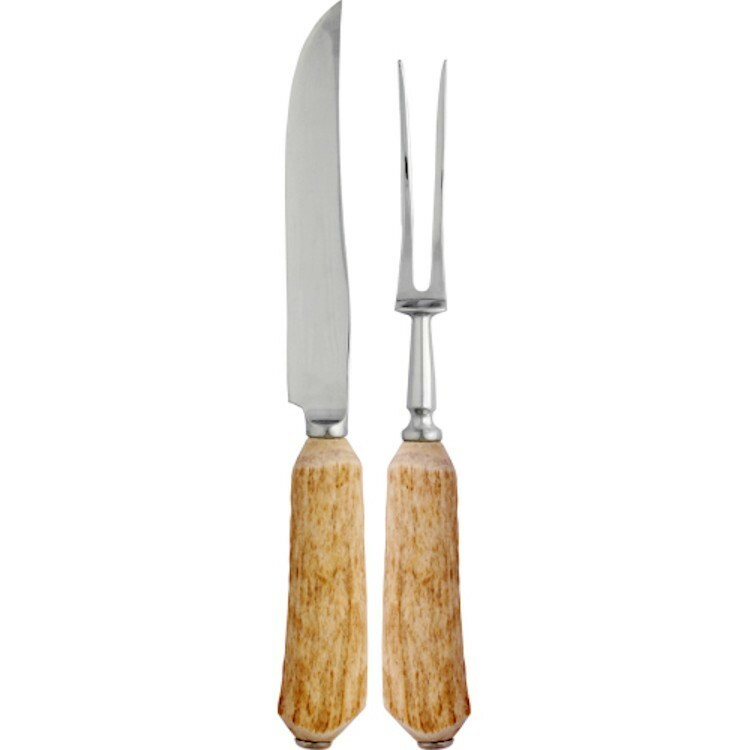 Designed for family meals and mid size roasts or fowl, The Rustic Antler Carving Set consists of a curved, stainless steel bladed knife, allowing carving around bones with ease. The knife blade also features hollow-ground depressions to reduce friction for even slicing, and is complemented by the sturdy, curved fork to hold roast or fowl in place for steady carving and slicing.